My husband and I were headed to take our daughter to see Grandmom's horse the other weekend. 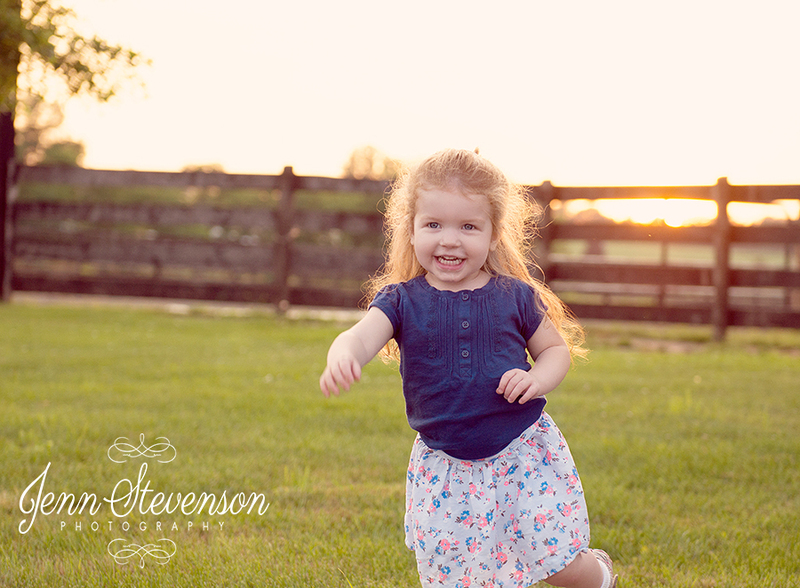 Since I can't leave home without the camera, I figured a little barnyard sunset mini session would be fun. Chasing a 2 1/2 year old around a barn - who is chasing after all the animals - was quite the workout! It turned out to be gorgeous evening, so the chaos was worth it in the end. Makes me think, should I host a barnyard-themed mini session?